Are you still wanting the ball reaction that dominated bowling in the 80's and 90's? Well Hammer does and they have brought it back with their line of Hammer Urethane bowling balls. This time Hammer is building on their Urethane success with the Hammer Purple Pearl Urethane ball. 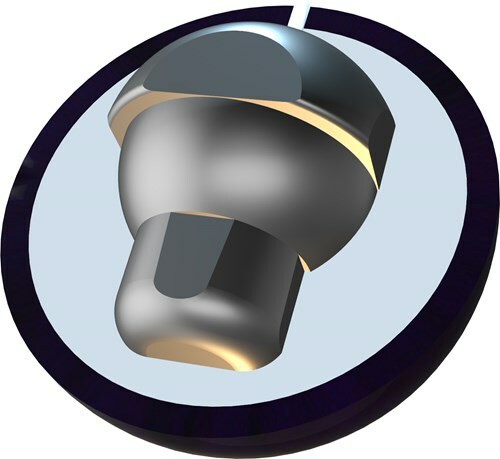 This ball has modified the popular light bulb core to create the LED core design and covered it with a Urethane Pearl cover and finished it with a 500 grit, then 1000 grit, and then 2000 grit Abralon pad. This combination offers incredible control the length of the lane on short oil patterns because you don't always need a violent reaction. This product is a great ball for people learning to hook the ball as well as experienced bowlers. This ball can be used on all conditions. I'm a 2 finger bowler, no thumb. I have a hard time finding a ball that isnt goimg to hook too much for me on a typical house shot. I stick with urethane for consistency and not a huge hook. My old go to was the blue hammer urethane, the remake. The purple hammer urethane gave me exactly what I was looking for. A little more length with a nice back end finish. It carries 10 pins better than the blue hammer urethane. It is now my go to ball. This is the perfect ball for high rev, 2 finger, or 2 handed bowlers. The only difference is the recommended lane conditions. The Storm Pitch Blue is for Light Oil lane conditions and the Purple Urethane is for light-medium oil lane conditions. 6 of 6 customers found this answer helpful. Did you? Yes | No Did you find this answer helpful? Yes | No Thanks for your feedback! Why don't the ball specs use a consistent set of categories and terminology for every ball? It makes it very hard to compare balls. Every ball weight will have a different weight block in it, in turn they will all have different ratings, based on the weight blocks. is this ball good for a Senior bowler? Hi David. This should be a great ball for senior bowlers but it ultimately depends on you as a bowler. I have a blue hammer. my hook is so drastic that I can't throw my reactive ball. Would the purple be better for the early games on fresh oil? how does it compare to the blue? The Purple Pearl would be better for earlier games. The Purple Pearl will have a longer length than the Blue. Hello! This would be perfect for the length you are looking for. Yes, this would be a great ball for that. I currently roll the black hammer urethane getting a lot of hook rolling inside out. How does the purple pearl compare to the black? I’m looking for more of the traditional down and in shot vs inside out. Is there enough diff in these two balls to warrant having them both? Thanks! The Hammer Black Hammer Urethane will have the same Same hook potential, lane conditions & coverstock as the Hammer Purple Pearl Urethane. Is this ball different with black one? They will both be the same. Either ball would work great for a back up bowler! It would just be your preference at this point. The house I bowl in has changed the oil and my hammer deadly aim comes back drenched, and loses its hook by the fourth frame of the first game. I’m not high rev, ball speed is 14-15 and the weight is 15.5. Lanes are synthetic. Would this purple pearl be something worth considering for more consistency on the heavy oiled synthetic lanes? This particular ball is meant for light to medium oiled lanes. It would not perform well with heavily oiled lanes, unfortunately. This would be a great ball for you! what ball is comparable to the raw anger? The coverstocks will be a bit different. The Pitch Black will have a solid urethane coverstock meaning it will break sooner and the Purple Pearl Urethane will have a pearl urethane coverstock making it go longer before breaking. 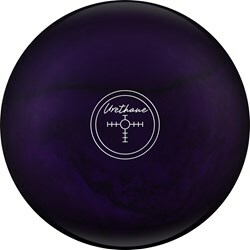 Would this be a good ball for a Senior that throws 11-12 MPH around 5-10 board? Due to the time it takes to produce the Hammer Purple Pearl Urethane ball it will ship in immediately. We cannot ship this ball outside the United States.